Best hostel in buenos Aires! My third time returning and I will be back for more! Great location, staff really helpful and the breakfast was top notch for a hostel. Would definitely recommend. Good classic hostel. Asado is not to be missed. Exceptional volunteers and owners knowledgeable and helpful. Very friendly staff and travelers. This is a great place to stay to meet other people who are also exploring Argentina. The location is nice, and close to a lot of great sites. 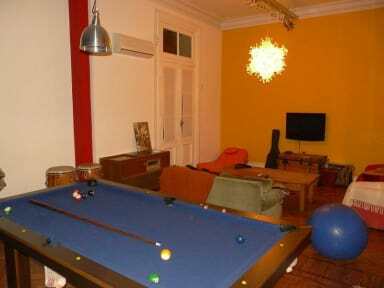 Okay hostel with a good location next to metro station and walking distance i.e. to casa rosada. Only two toilets/showers. Ok hostel, nothing too special. Good for short stays. Super vibe here, really great staff and good location. Not as clean as I expected and pretty dingy inside. Hangout spaces weren't very inviting. Bathrooms always pretty dirty since they were always in use since there's only 2 of them. It was a good location in San Telmo but I most likely won't be returning.